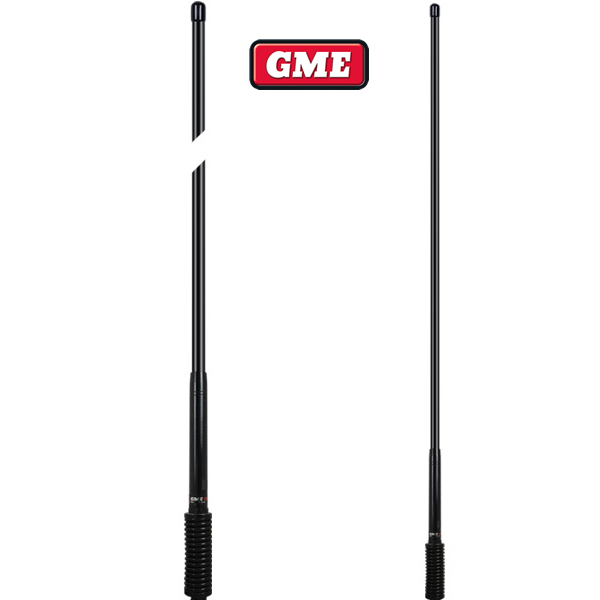 GME AE4703 is a ground independent 6.6dBi gain antenna. 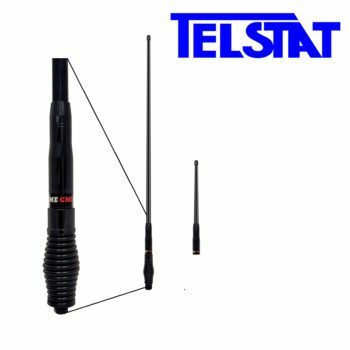 Its build for use in rugged terrains with a heavy duty spring and 1.1m fibre glass whip. 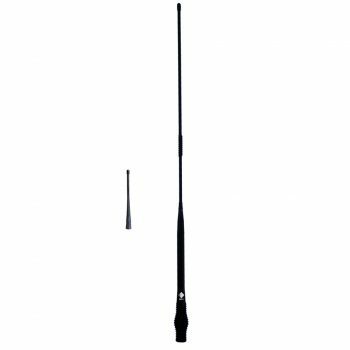 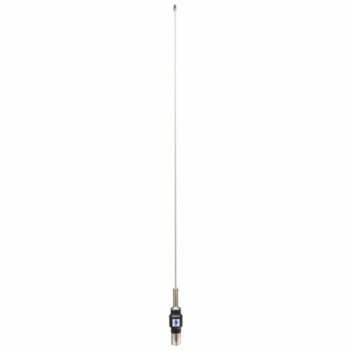 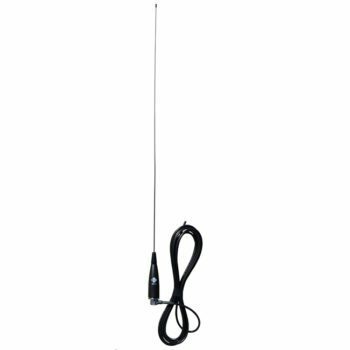 The AE4703 is an adaptable UHF CB antenna with the coaxial termination embedded within the spring assembly with easy screw down fit of the whip. 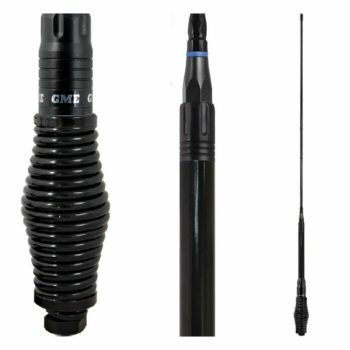 This allows for interchangeability of whips depending on the operating conditions and application i.e. 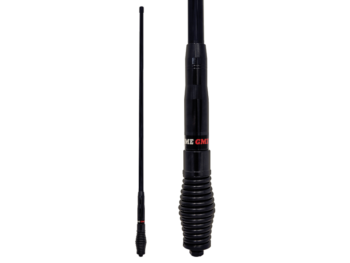 shorter lengths and lower gain for hilly terrain (sold separately) and longer lengths with higher gain for travelling on open roads with flat terrain. 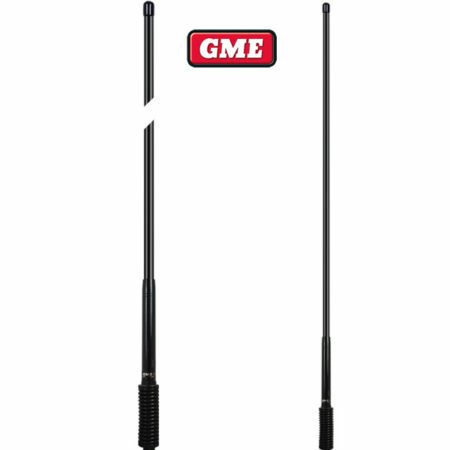 This antenna is a popular choice for 4WD caravans and heavy vehicles.